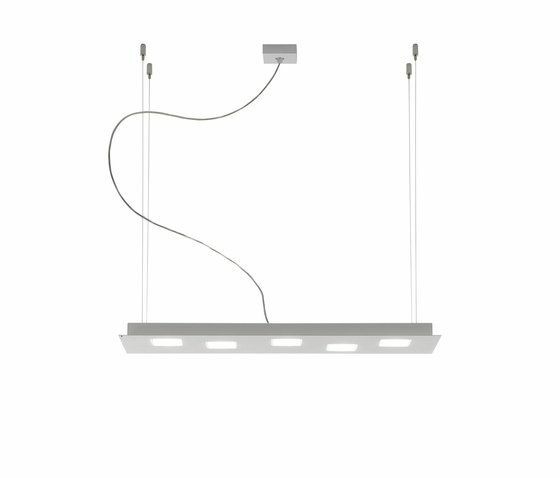 Just like a design that has yet to take shape on a blank page, the lighting elements of Quarter take form and movement inside a thin layer of white aluminium. Light plays the leading role; it is directed to the inside of small polycarbonate cubes, that give the illusion of being painted directly onto the ceiling. The beauty of this lamp is the fact that it can be used in different environments and is perfect to give depth and movement to the home, but at the same time its design makes it just as suitable for offices. The Quarter collection is made up of indoor wall and ceiling lamps, available in seven different sizes, plus two hanging lamps, also for indoor use. The shade is in white or black lacquered aluminum, or aluminum with a satin-burnished finish and the light is diffused through small polycarbonate cubes. The energy voltage is LED.